Today, a major portion of the sales is based on reviews. Ironically, this form of word of mouth is quickly becoming an important decisive factor. This means you must get it right, every single time. To get positive reviews you must make sure that you don’t miss a single follow up or have a single bad call. If you’re reading this, you are probably a part of this process. And you must be aware of the current predicament. Sales are happening globally, 24x7. That means you need a solution that is accessible, on the go, 24x7. 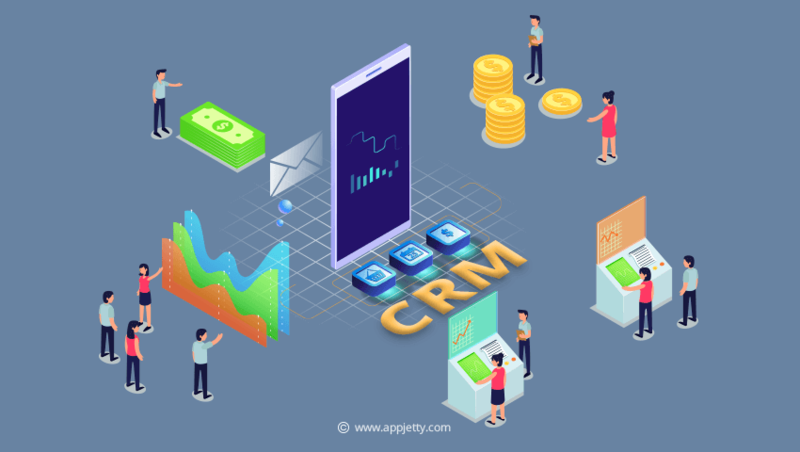 We know that CRM software such as SuiteCRM and SugarCRM have helped you take control, in the troubled seas of today’s market. And they will continue to do so through your Sugar CRM or SuiteCRM mobile app. The CRM solved a major problem in marketing and sales. As the markets became broader with the advent and expansion of the internet, a lot of the old methods and tools did not scale congruously. Having a CRM solved a lot of the problems that arose, with a single solution. The CRM is indeed a great solution for the traditional business model. But in contemporary enterprises, a significant portion of the sales, marketing, and support teams works remotely. These departments need to be mobile. But, in this aspect, the CRM - their primary resource is deficient by design. So, how does a CRM mobile app change the way this works?! Remote access and data synchronization: First, it helps your teams and departments connect in a better way, coordinate their efforts and work in synergy. A sale might happen by chance but a resale happens when the marketer grabs the attention of the customer, the salesman explains the intricacies and the customer service representative makes the customer feel at home. It is of utmost importance that the three departments have their actions aligned with the company vision. It is equally important that there is effective communication between them wherever necessary. Particularly in terms of data sharing. Having access to the CRM remotely provides synchronized information that is available across all devices. It helps avoid long, to and for calls that are otherwise unnecessary. Real-time data analysis: Data is also available in real time. This means that you can take decisions based on solid numbers. Quick and easy. The CRM mobile app presents the data in the form of graphs and charts, which makes it easy to analyze. The pictorial representation helps better understand the different metrics and their comparisons. It ensures that everyone has a thorough understanding of the facts and figures. And the discussions are about the next step, instead of trying to make sense of the raw data. Automated activity log: Users can log and review all activities. It is helpful when you’re dealing with lots of different people and cannot individually keep track of every interaction. Features such as check-in allow you to make a record of a client visit with a single tap. This also allows the team leader to keep track of the human resource. File management: File management in the SuiteCRM mobile app makes document sharing easier. In cases where you log information in form of photographs through your smartphone camera, the app is an indispensable resource. There will be occasions when you need to refer to or share documents. You can do that and a lot more with the app. Imagine having to do all this on a computer, every single time a prospect or a customer needs assistance. Cumbersome, isn’t it? Thank the engineers for coming up with this solution. Most features of the SuiteCRM mobile app function offline, which means you don’t have to rely too much on the internet connectivity. You can even search for the record you need from the dashboard itself. Additionally, you get the convenience of a user interface that is easier to navigate along with app exclusive functionality that integrates the smartphone use cases with the SuiteCRM android app. As mentioned above, you can use your smartphone camera to take photos that you can directly upload to the CRM through the app. This is useful when, for example, you need to upload a photo of the client. With your SuiteCRM mobile app, you can do this by using your phone directly. You can import your phone contacts to the CRM and set up a new contact in a few seconds. You can use the CRM planner to schedule, track, and manage your activities. You can send messages and emails directly from the CRM application and even attach files wherever necessary. A typical CRM can sometimes disappoint with the vast difference between its scope and function. The SuiteCRM android app overcomes this challenge and offers an experience that is liberating and satisfying. It leads to more productive and goal-oriented teams while ensuring customer satisfaction at the same time. The shift from CRM to the app doesn’t take much conscious effort or time as the app itself is intuitive. The app uses the necessary modules of your CRM. Meaning, anyone who is familiar with SuiteCRM can pick it up in no time. There are a countless number of products that we use every day. Some of these products are good, some of them are terrible. But there are very few products that excite us. And somewhere deep down our hearts, we crave that excitement. And we experience that excitement when we come across a product that is everything we expected it to be. When the design is sleek and the navigation is smooth. Ownership is pleasurable. Greed is good. So, does it excite you? Because fun, as it may be to think about it, experiencing it, is a different thing altogether.